Complete E is an all natural, Full Spectrum Vitamin E with added Tocotrienols, CoQ10, Alpha Lipoic (ALA) and Vitamin C. Vitamin E, specifically gamma tocopherol, is well known for its powerful antioxidant properties. Like Vitamin E, Tocotrienols exhibit antioxidant protection, especially against lipid peroxidation, therefore rendering powerful support for cardiovascular health. 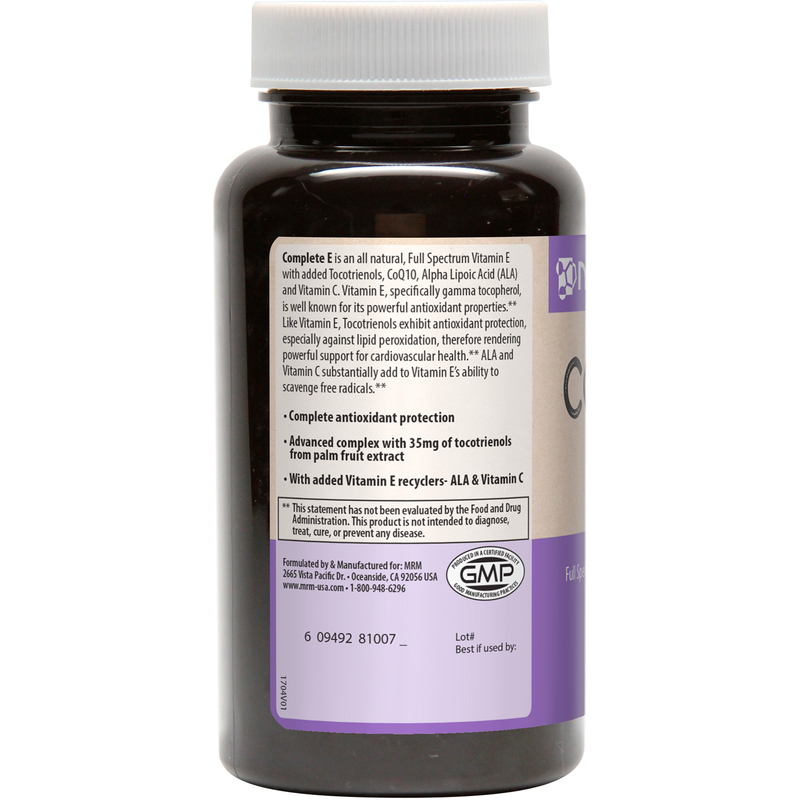 ALA and Vitamin C substantially add to Vitamin E's ability to scavenge free radicals. 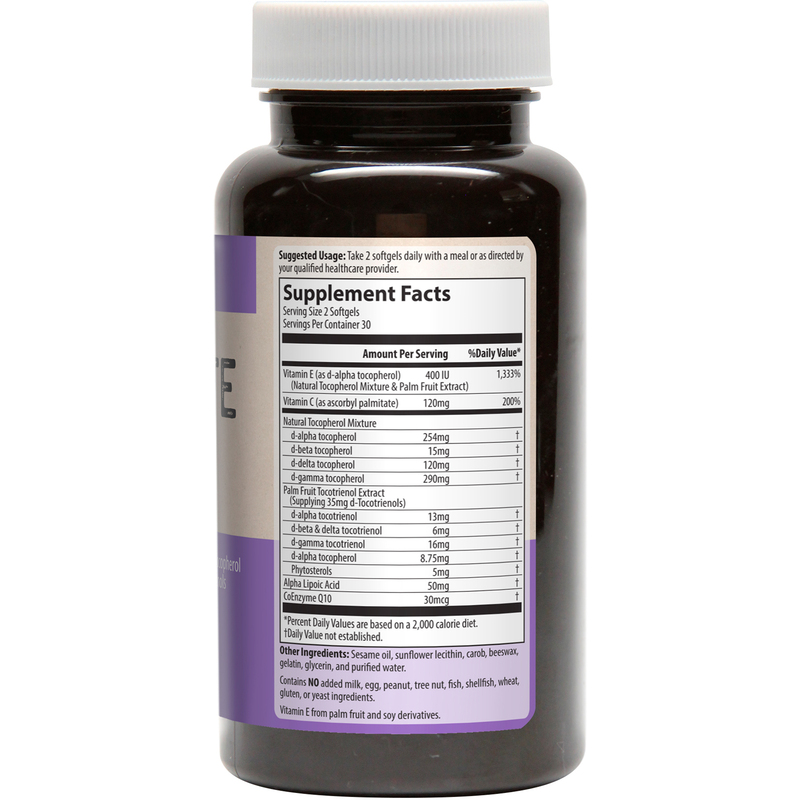 Take 2 softgels daily with a meal or as directed by your qualified healthcare providers. Sesame oil, sunflower lecithin, carob, beeswax, gelatin, glycerin, and purified water. 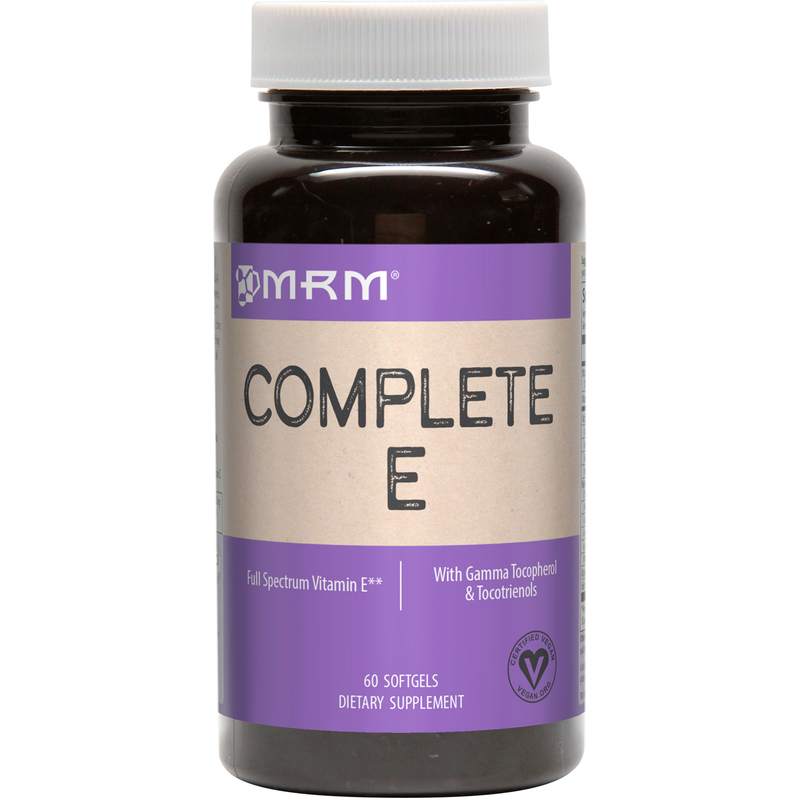 Vitamin E from palm fruit and soy derivatives.